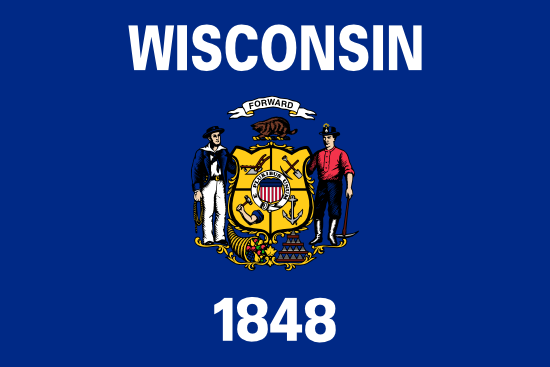 This post concerns wrongful discharge settlements in Wisconsin. It is really rare for good cases to go to court, as they usually settle out of the courtroom. But if they don’t settle, there is a lawsuit, in which only one party will win. The majority of these court cases have mixed verdicts, implying they implicated a single, or possibly several claims of wrongful firing caused by age discrimination, breach of employment contract, gender discrimination, firing in violation of public policy, whistleblower, sexual orientation, gender expression or gender identity discrimination, disability, race, color, national origin, religion discrimination or constructive discharge. The data displayed provides an overview of the different types of cases filed together with their particular numbers in WI in 2017. Monica Everson worked as a receptionist at the Overture Center. She was subject to sexual harassment by the director of the center, Robert D’Angelo, for over a decade. She endured unwanted groping, fondling and inappropriately touching until she could not bare the hostile work environment any longer, and filed a lawsuit against the center and her boss. She went on medical leave after filing the lawsuit. Wisconsin Plastics is a metal and plastic products manufacturer in Green Bay, Wisconsin. The EEOC sued the company after learning that Wisconsin Plastics had fired a number of employees because they lacked sufficient English skills. This constituted discrimination based on national original, since fluent English was not needed to do their jobs. The workers were wrongfully terminated in violation of Title VII of the Civil Rights Act. Sami Elestwani was a successful sales manager for the biomedical company Nicolet Biomedical. He was a native of Lebanon, and Arab. In 2002, he was told that his ethnic origin was “not good for the company in light of 9/11”. He was offered a demotion to a lower paying job and relocation to Texas, which he refused. He was fired shortly after. Gary Wistrom was an assistant administrator at the Department of Veterans Affairs in Union Grove, Wisconsin. He sued his ex-boss, DVA Secretary Ken Black, after he was forced to retire at the age of 60, because Black reassigned him to the agency’s Madison headquarters 108 miles from his home. He was disabled, and could not commute 210 miles every day. Wistrom alleged that the reason Black reassigned him was in retaliation for his support of a fired white employee. Black was African-American, and he had said that he wanted to purge the agency of old white men. Wistrom signed an affidavit in support of the fired employee, and he was reassigned days later. Michael Dubin was a history teacher at Madison Area Technical College. He had worked as a temporary instructor at the school from 2000-2006, and was hired for a 3 year probationary term before he could become a faculty member. The probationary term ended in 2009, and out of the 18 instructors on their probationary term, he was the only one who was not hired. He sued the college alleging the former dean of Arts & Sciences, Veronica Delcourt, didn’t renew his contract in retaliation for him complaining of ethnic discrimination at the school. He reported colleagues making comments and slurs deriding his religion, Judaism. EEOC v Stack Bros. Mechanical Contractors, Inc.
Stack Bros is a heating and plumbing contractor based in Superior, Wisconsin. The EEOC launched an age discrimination and retaliation lawsuit against the company, after 2 fired employees, Randy Virta and Karen Kolodzeske, complained of wrongful termination. The company owner planned to fire both employees when they turned 62. Virta was fired at 62 and Kolodzeske objected to this. In retaliation, the owner suspended her for complaining and created a hostile work environment. When thinking about our list of wrongful firing settlements from Wisconsin, remember the fact that the large amounts of money are as a consequence of punitive compensation, which are handed out to dissuade businesses from engaging in the same kind of unjust behavior. Punitive damages are quite uncommon. A large percentage of claims will settle for anywhere from fifty thousand to one hundred thousand dollars. This selection of unlawful termination verdicts and settlements in WI is meant for informative purposes. Although you may feel similarity to any of these lawsuits, keep in mind that each case is different. What is the average wrongful discharge settlement in Wisconsin? If you suspect you were wrongfully terminated, it’s understandable that you want to find out approximately how much money you are likely to receive for your wrongful dismissal claim. If you reach settlement (or win your trial), the exact amount you acquire is basically based on the following: reason of termination, mental anguish, medical expenses, job search costs, lost wages and benefits lost. Punitive damages can also be granted in rare situations, in the event the employer acted egregiously. As can be seen from the example claims in this article, giving a typical settlement for unlawful discharge cases in WI is tricky because every claim is different. The average wrongful termination settlement in Wisconsin is between $5,000 and $100,000. Attorneys continue to be beneficial when working out a higher settlement. The majority of courtroom awards are usually bigger, between $90,000 and $300,000. This is one reason organizations choose to settle before going to court. Years of going to court, bearing its legal costs and maybe losing the lawsuit in the end can certainly be costly. If you think you were discharged for some kind of unlawful reason, read on to find out what you should do. Before anything else, you will need to get in touch with a wrongful termination attorney in Wisconsin in order to discover whether there is a claim worth going after. Do not delay, because there are certain deadlines to reporting unlawful firing claims in Wisconsin. Second, you are going to probably need to submit a timely claim with the EEOC’s Milwaukee Area Office.